Spectacular improvement in the sharpness of MUSE images. 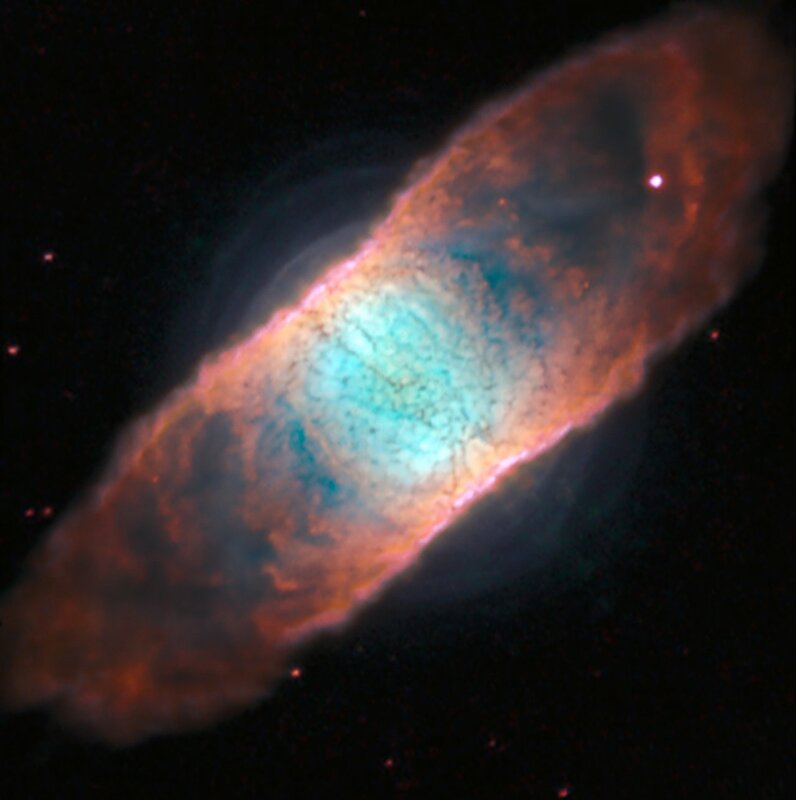 The Adaptive Optics Facility (AOF) is a long-term project on ESO’s Very Large Telescope (VLT) to provide an adaptive optics system for the instruments on Unit Telescope 4 (UT4), the first of which is MUSE (the Multi Unit Spectroscopic Explorer) . Adaptive optics works to compensate for the blurring effect of the Earth’s atmosphere, enabling MUSE to obtain much sharper images and resulting in twice the contrast previously achievable. MUSE can now study even fainter objects in the Universe. Following a battery of tests on the new system, the team of astronomers and engineers were rewarded with a series of spectacular images. 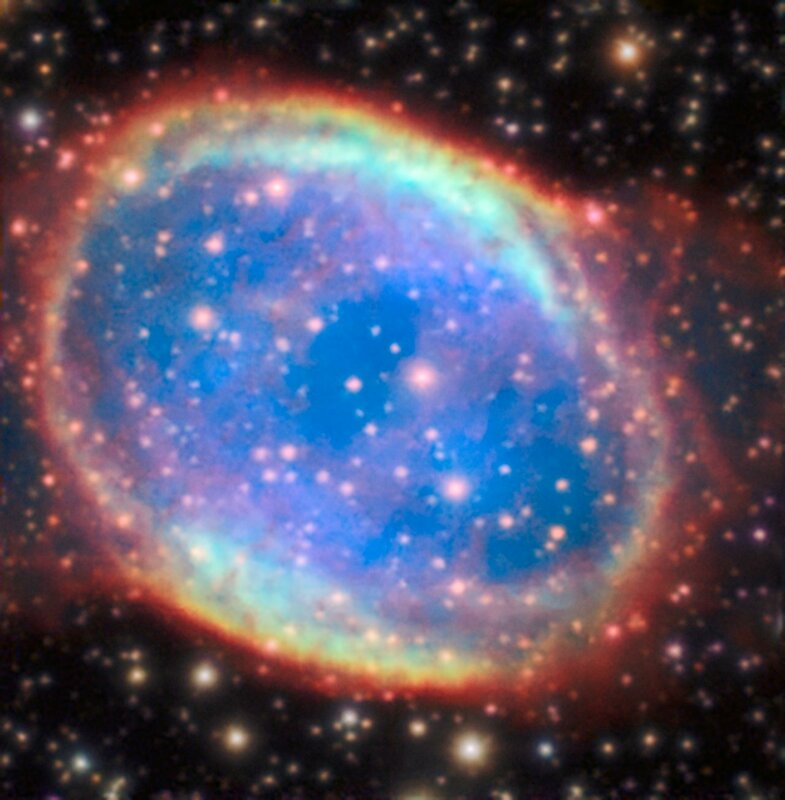 Astronomers were able to observe the planetary nebulae IC 4406, located in the constellation Lupus (The Wolf), and NGC 6369, located in the constellation Ophiuchus (The Serpent Bearer). 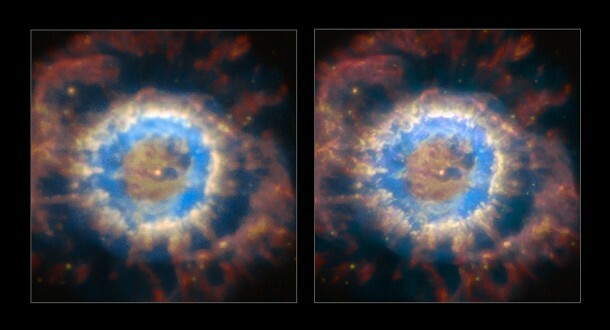 The MUSE observations using the AOF showed dramatic improvements in the sharpness of the images, revealing never before seen shell structures in IC 4406 . The AOF, which made these observations possible, is composed of many parts working together. They include the Four Laser Guide Star Facility (4LGSF) and the very thin deformable secondary mirror of UT4  . The 4LGSF shines four 22-watt laser beams into the sky to make sodium atoms in the upper atmosphere glow, producing spots of light on the sky that mimic stars. Sensors in the adaptive optics module GALACSI (Ground Atmospheric Layer Adaptive Corrector for Spectroscopic Imaging) use these artificial guide stars to determine the atmospheric conditions. MUSE is an integral-field spectrograph, a powerful instrument that produces a 3D data set of a target object, where each pixel of the image corresponds to a spectrum of the light from the object. This essentially means that the instrument creates thousands of images of the object at the same time, each at a different wavelength of light, capturing a wealth of information. IC 4406 has previously been observed with the VLT. At just over one metre in diameter, this is the largest adaptive optics mirror ever produced and demanded cutting-edge technology. It was mounted on UT4 in 2016 to replace the telescope’s original conventional secondary mirror. Other tools to optimise the operation of the AOF have been developed and are now operational. These include an extension of the Astronomical Site Monitor software that monitors the atmosphere to determine the altitude at which the turbulence is occurring, and the Laser Traffic Control System (LTCS) that prevents other telescopes looking into the laser beams or at the artificial stars themselves and potentially affecting their observations.